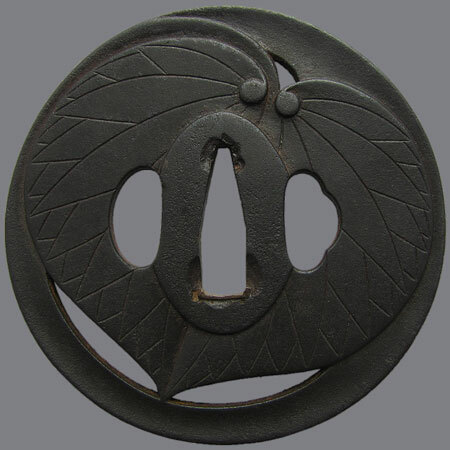 Iron tsuba made as a single leaf of aoi. The author is probably the fourth master of Takahashi family (yondai Takahashi - 四代 高橋) from Kinai school. 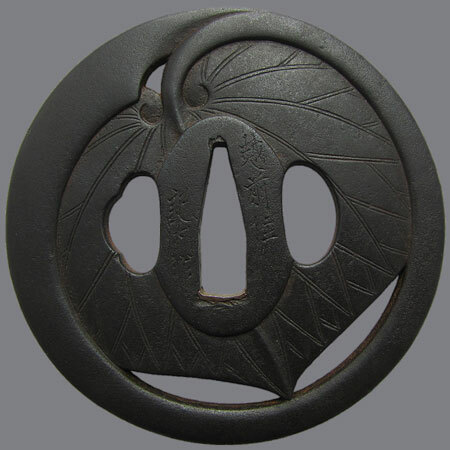 He worked over 50 years and produced many tsuba of various design. He died in 1809. Insription: 越前住 記内作 (Echizen no Ju Kinai saku). Kinai school. 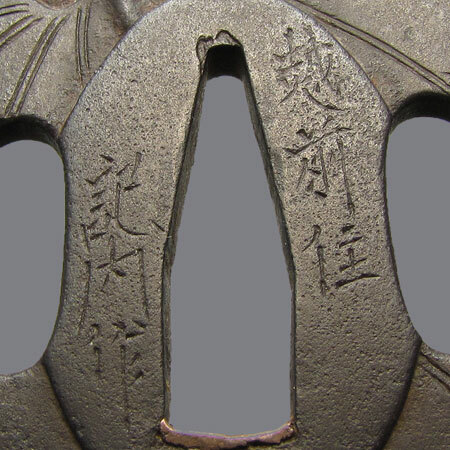 Age - middle of Edo, second half of 18th century. Maru gata, kaku mimi; 8,3 х 8,3 x 0,6 cm.